Current: HANAZONO Autumn Special - up to 50% OFF! 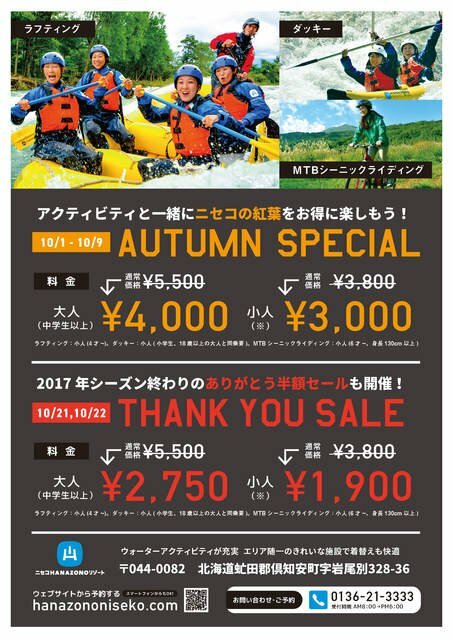 HANAZONO Autumn Special - up to 50% OFF! Enjoy the splendid autumn foliage scenery together with our awesome outdoor activities. Save up to 50% on rafting, ducky or MTB scenic riding tours in October!